Advertising is an important part of our economy. Ignoring our fears of a future sky polluted by flying advertisements, it is still quite possible for blimps and other drones to put your message into the air. Scale is the key, we’ve certainly seen aerial advertising before, but how big can you get? I know what you’re thinking, a blimp is not a drone. I think we covered that it is, actually, in the sense that a blimp with no persons on-board is an unmanned aerial vehicle, the very definition of a drone, according to the FAA. We’ve added the UVify IFO drones, a drone business that is limited by your imagination. We still think drone advertising is coming, but we’re going to put this topic on the back burner for a while longer. The typical drone we see around here is not an ideal tool to put a message into the sky. More than a few could handle the task, but not very gracefully. Traditional aerial advertising has seen the use of balloons, blimps and airplanes, but these all require a hefty investment and a trained pilot, not to mention cooperation from the weather. There are two types of drones that we’ll discuss today for aerial advertising, a typical drone and a blimp. We briefly met up with a company called Plimp at InterDrone. 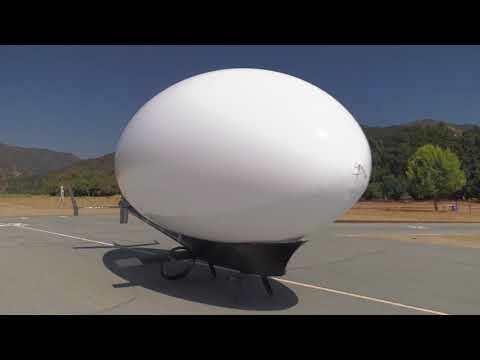 They have a 28 foot long unmanned blimp with a drone-style articulating propeller driven flight system. A huge machine filled with Helium then driven by electricity. 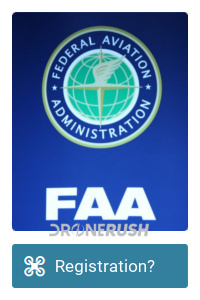 Thing is, the FAA says our machines have to be under 55 lbs to operate, they don’t exactly say how big the machine can be. At almost thirty feet long, Plimp weighs in at under fifty five pounds. Best of all, it has nearly 5 miles of effective line of sight, again conforming to FAA guidelines and making it very easy to fly a little further out. 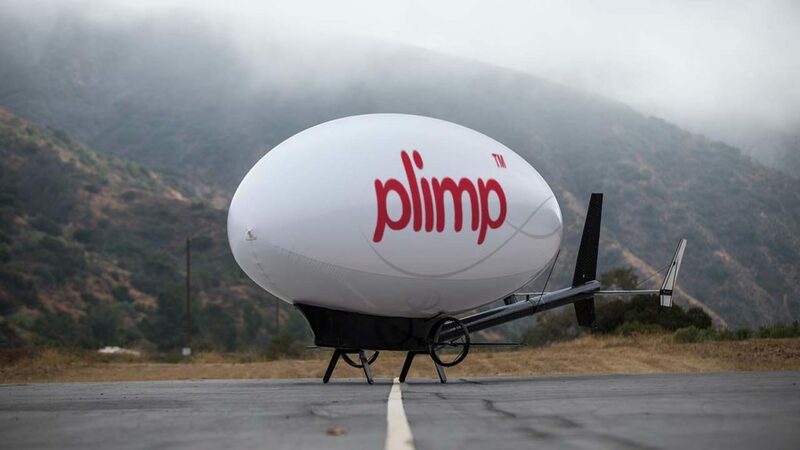 Plimp offers a top speed of about 40 mph, battery life to push up to 20 miles and enough Helium to keep the drone airborne for a day or more. Aside from putting the Good Year Blimp out of business, I can think of many search and rescue or natural disaster applications for a drone like this. There may be resistance to this idea, but I think the UVify IFO program can be used for advertising, of sorts. One of my first ideas with these precision built light show drones was not for the entertainment business like advertised, I imagined emergency services flying them over an unexpected closed roadway, a real estate agent flying over top of an open house and other important, but simple uses such as those. If twenty of these machines can produce mock fireworks and other cool designs in the sky, surely they can act as an arrow or do not enter sign? As I’m sure you can imagine, machines like this may slowly roll out to car dealerships and sporting events as we go. Maybe you’ll see a Plimp over a farmer’s field as well, but as far as you and I flying in our backyard, may never happen. Battery life and safety concerns are a huge deal. Plimp addresses these nicely, but it’s still the size of a moving van. Man power is also of concern. A car dealership can fly a tethered helium balloon with their logo on it all day long, no human interaction required. A drone requires a pilot at all times. We attended AUVSI Xponential, a largely commercial and military drone focused convention. With nearly 700 autonomous vehicle manufacturers on the show floor, we did not see a single flying advertisement focused drone. Lots of the machines could be used for putting ads in the sky, but if this convention is an indicator of future drone usage, our skies should remain advertisement free for a bit longer. We’ll see flying advertisements soon enough, I hope you’re ready.